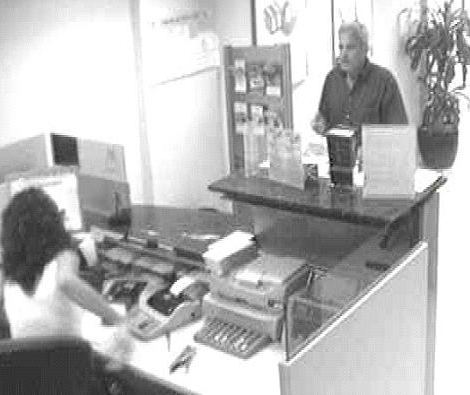 The photo images taken from CCTV cameras in last week’s bank robbery of Banca March in Playa Arena has led to the arrest of the culprit, who walked off with €5400 in cash after threatening the staff with a large knife. The man aged 53 and identified only by his initials, M.G.R., was arrested in a bar in Los Cristianos and is due to appear in court today. Police have recovered €2000 of the stolen money and are praising the media for quickly distributing the photos. This morning, 11th September, at around 04.30 the security guards of Tamaimo Tropical hotel on the coast of Puerto Santiago called the Local Police of Santiago del Teide to arrest a youth who was caught breaking into hotel rooms. The 21 year old youth, of Spanish nationality, with the initials H.D.A.G had forced entry into several rooms causing damage. The youth resisted arrest, which caused more damage to the hotel furnishings. Once handcuffed and searched police found a large knife in his possession. A woman’s handbag, a wallet and several other personal items, which police believe came from the rooms in the hotel, were found in the corridor. Once detained the youth, who has a criminal record of assaults, forced entries and other similar crimes, was taken to Local Police Headquarters to give a statement and was then transferred to the Guardia Civil in San Juan, to await his court case.